Our two episodes of ’16 Kids and Counting’ have now been aired once again in the UK, as well as in many countries all over the world. It has been over a year since they were originally shown and almost two years since we began filming for the series. We thought it would be a good idea to give our visitors, both old and new, an update on our family during this time as there have been quite some changes since! Of course, there are still some who feel very uncomfortable about the way we live and even make it known that they disagree. That’s okay, because living unconventionally works for us. As long as we are happy with our lives and what we can achieve by not conforming to mainstream expectations, that’s fine by us. We understand that some people might object to things that they are unfamiliar with, such as choosing to have a large family or home educating, but just because we choose to live life differently doesn’t make us wrong, it just makes us… different! Let’s begin with the kids. Did you note the initial horror in my voice? Earlier this year Isobel become a big sister herself. The twins broke a run of six boys in the family, and we then had three girls in a row. February saw our newest addition join the family – a boy! The caesarean, my sixth, went extremely well and without complications, and we’re okay to proceed with another pregnancy should we choose to. 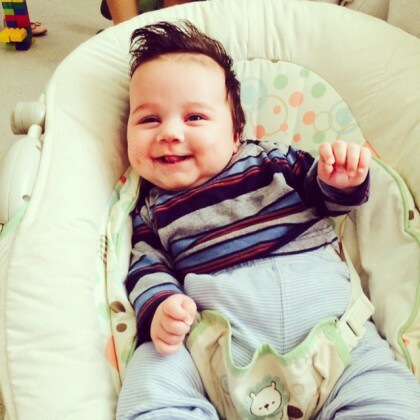 Tim is now three-months-old and as strong as a chubby little ox. He is adored by everyone! As for the others, well, Ben is hundreds of miles away at university, Stephanie is working two jobs; one full-time as a claims adjuster for an insurance company and a second part-time job, in an effort to save for a deposit and get out of renting. While she is working she is also studying part-time for her law degree. They aren’t the only two studying for their degrees, as I too have just completed my first year of study for my BA in Politics, Philosophy and Economics. Caitlin is currently working through her IGCSE exams and will be receiving the results two days before her 15th birthday. She also volunteers locally and now has plans to go into journalism. The middle boys are as rambunctious as ever, filling days with camps, clubs, events – and learning, of course! Each time the show has aired, wherever in the world it might be, we’ve been inundated with questions on home educating. While I was extremely reluctant to film the series, I am so very happy that we did as parents of so many children who had been bullied got in touch and realised that there was a viable and effective alternative. To have been able to make a difference to the happiness of one child by bringing the option of home education to them would have been enough, but to have received the feedback we have has been overwhelming. The issue of home education is still greatly misunderstood and criticised. We hope that between the series and through our site, that we can continue to dispel the myths of home education and prove that it does work. The one sadness we have had to face is that so many children are being bullied out there. It’s heartbreaking. 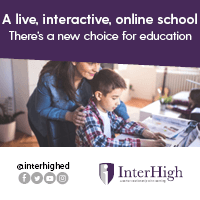 While Caitlin is currently finishing up her IGCSE studies online with Interhigh, we switched curriculum for the rest of the children. You can find out why we decided to change our home education curriculum here. We also took advantage of the flexibility that home education and working for ourselves offers and went on an eight week road trip around France and Italy. The thought of travelling around with ten children, nine of whom were under the age of ten, was nerve-wracking to say the least. We needn’t have worried. Everyone loved it and the way they learnt – hands on and through seeing and experiencing different places and cultures – was far more effective than any book or video could ever have been. If you ever get to offer your children one thing it would be the experience to travel and learn. My frustration with the school system which so heavy-handedly disallows children this valuable experience is indescribable. Still, that would be another post entirely, I guess! Finally, the self-sufficiency dream! Well, when we returned from our road trip we came home to a letter which informed us that we had lost our allotment plot only three days before. That, I suppose, is the consequence of prolonged travel during spring when everything – including the weeds – is growing fast! Still, all is not lost because we have decided that the time to realise our self-sufficiency dream has now come! As I type, work is being done to the house in preparation for selling. If you think redecorating with 10 children under 11 is stressful, you’d be right – especially when kitchens and bathrooms are being completely replaced! So that’s about it! Thanks for taking the time to read this and I hope you’ll stay in touch! In the meantime I’ll leave you to a little (noisy) large family fun! Well, we had the house on the market, found a place to buy and…. decided to change our plans to move to Ireland and start a smallholding and decided to travel instead! The decision not to sell proved a good one as just weeks later my brother was diagnosed with leukaemia. Only three months after that, my father was diagnosed with terminal cancer. Being the only one able to care for him, we postponed last year’s travel plans so I could look after my dad. After the loss of my father to cancer in 2016, followed by the loss of my 34-year-old brother to leukaemia just five months later, we agreed to fulfil a promise to my brother that we will fill life with more adventure and make shed loads of good memories along the way. Taking my promise seriously, I lost 60lbs in less than a year (we’ve lost over 100lbs between us), and Mike and I are constantly working on getting fitter and stronger, preparing to fill life with challenges and live it to the fullest. 2017 already sees us embarking on a camp through Germany, Slovenia, Croatia, Montenegro and Albania before we settle in Greece for five weeks then camp our way back up again – with ten of our children. Shortly after we return to the UK Cait (our 17-year-old) and I will be visiting Uganda. We’re still working on confirming the second half of the year’s travels but Germany and Italy are already on the cards. In the meantime, Mike and I have some challenges to prepare for! I’ll be doing a couple of abseils and Mike and I will also be undertaking the Yorkshire Three Peaks as well as the National Three Peaks later this year (we’re still seeking a sponsor for the National, if you’re interested). I’ll also be abseiling down the UK’s highest freestanding structure and the Spinnaker Tower… for fun! Got a challenge for us to train for and complete? Let us know. So, if we were unconventional before, we’re about to step it up. Join us on our blog and subscribe to our YouTube channel here as we seek adventure and make memories as we travel around the world (with at least ten of our kids!). One thing is for certain though, we’re still doing life differently. I am really pleased you did the documentary. It’s not often you see REAL homeschooling families on the TV. 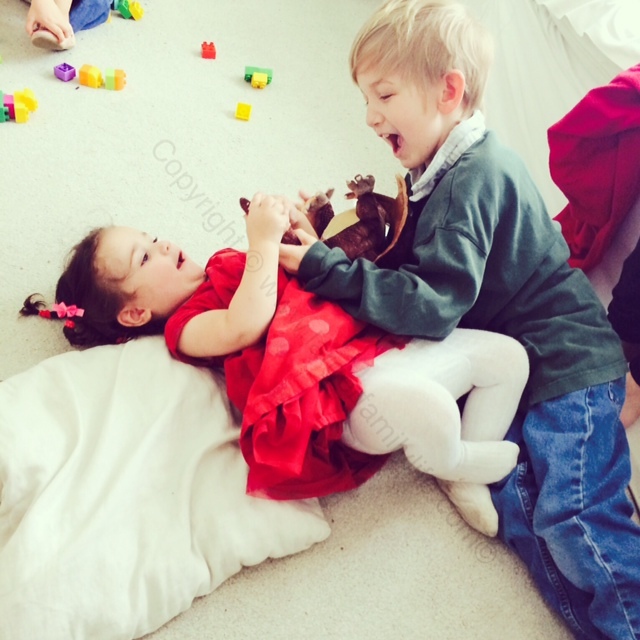 I am a homeschooling mum of 4 and I think our way of life is normal. I suppose to other people it may seem strange. Who made the rules of what’s normal and what’s not???? People should be less judgmental of families that do things a bit different. I watched 16 kids and counting and think you do a great job with all the kids,they seem really happy.I have 5,all under 7,and i am home educating them (for the same reasons as you ) although not in such a structured way. My question is,do you breastfeed your babies?Im only asking because i saw you feeding Isabel with a bottle when she was newborn and wondered if it was something that you just dont do anymore because its just easier to feed when you have such a large family.My youngest is 6 months and i had planned on feeding her til she was 2 but i am thinking of stopping,i love breastfeeding but i find it hard to fit everything else in around it.